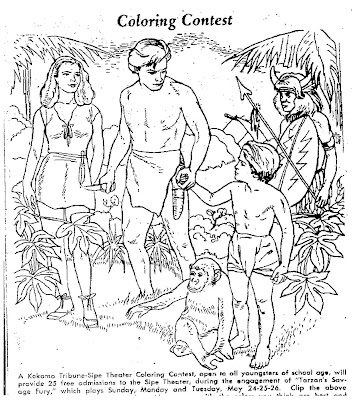 This movie coloring contest for "Tarzan's Savage Fury" appeared in various newspapers in 1953. 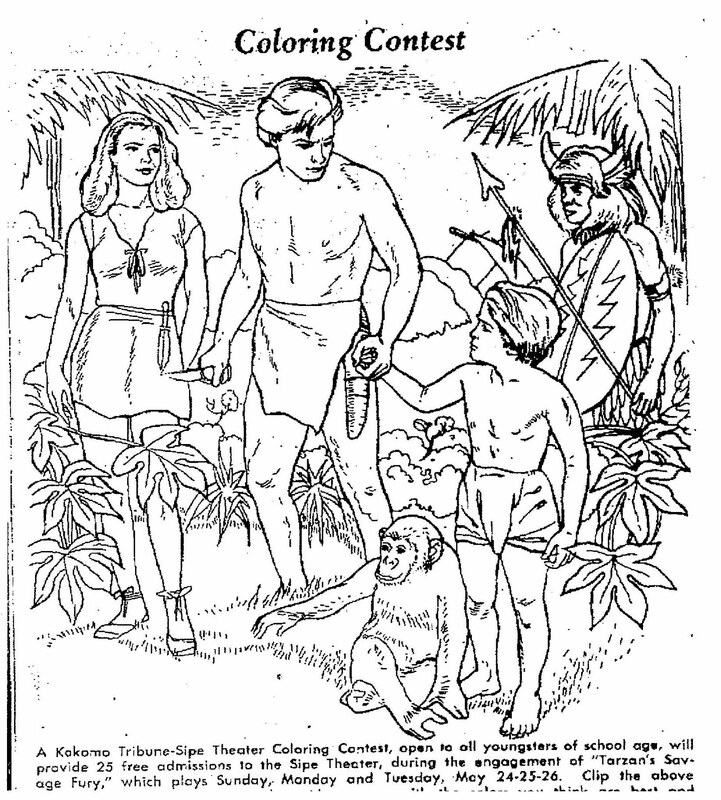 The movie starred Lex Barker, Dorothy Hart, Patric Knowles, Charles Korvin and Tommy Carlton. The movie was directed by Cyril Endfield.